The 2019 Chevrolet Corvette ZR1 was working out at the Nurburgring earlier today, but according to spectators doing their own lap-timing — the LT5-powered supercar is nowhere near the expected 6-minute range, reports Torque News Corvette. 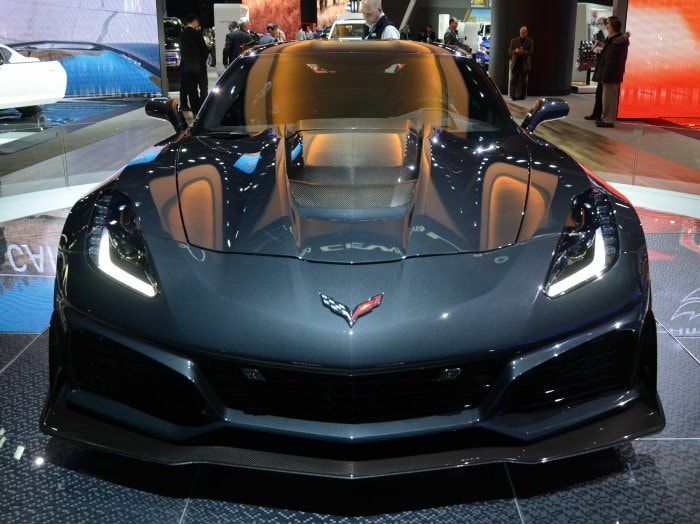 These numbers most certainly could vary from the official numbers, but with the news of this 7:12 lap time for the new Corvette ZR1 being discussed around the internet — we wanted to address what could prove to be far from the car’s best effort. Last edited by TorqueNews; 04-16-2018 at 03:50 PM. Oliver Gavin was not behind the wheel. They are probably just running some testing/tuning setups waiting for his return from Long Beach. A thank you to Torque News, though as they noted, very unofficial. A Z06 ran a 7:13 last year, so I am personally expecting a sub 7:05, hoping for a sub-7:00. GTB/ZR-1 and U.S. Marine like this. Last edited by GTB/ZR-1; 04-16-2018 at 03:02 PM. U.S. Marine and Mack like this. I would be pleased if the C7 Masterpiece ZR1 wheeled the Nurburgring at 6:30 or below. We shall see after the test and tune is completed and they wheel that amazing work of art around the challenging ring. Hopefully the C8 Masterpiece ME will wheel a 5:75 or below! Here is a good article from R&T written by Jack Baruth on Nurburgring times and how the GM team approach them. 2013 GMC Acadia Denali - "The DD"